For Art on the Underground Runa Islam has made a group of limited editions. Tube Map 1 and Tube Map 2 consider London Underground to be a network that has taken root and spread under the city like the roots of a mature tree. Pocket Tube Map depicts an image of the bonsai tree humorously miniaturising the tree in relation to a pocket map (the pocket map having been an indispensable part of underground travel for so long). 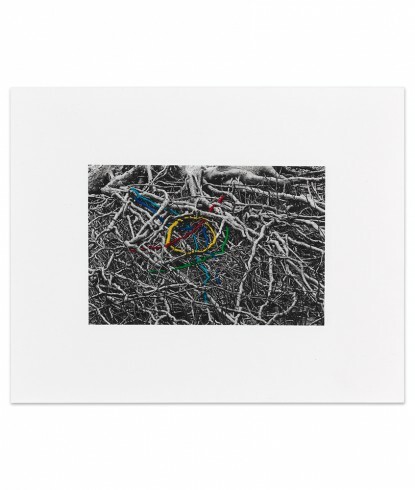 The photo of the tree roots hand tinted with Tube line colours reconsider the mapping of the routes. These images can be regarded as alternative pocket maps.